What do you need to do to get into space? An explanation of orbits, forces and the 'slingshot effect'. In order to land on the Moon, Apollo 11 had to be launched at just the right speed. If a rocket is fired towards the Moon with insufficient power, it will fall back to Earth or enter its orbit. If launched at over 40,000km/h, a rocket will follow a wide enough orbit that it can be intercepted by the Moon's gravitational force. The Moon's gravity changes the orbit of an approaching rocket, allowing it to land on the surface. Thinking about a trip to the Moon? Let's say you've made yourself a plan. President J. F. Kennedy – "We choose to go to the Moon." You've managed to train yourself some astronauts. And you've even managed to get hold of a massive rocket. 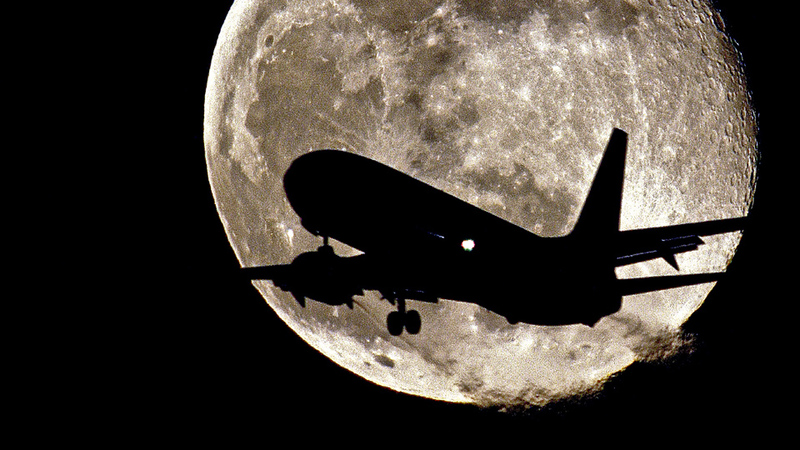 How do you actually get to the Moon?